To choose a wedding veil is more difficult than some people expect the bride and groom. Any nice girl to go to the wedding salons, trying on a large number of long, short, white, colored models, but every bride wants to find the perfect cut that will be a great addition to the wedding dress. 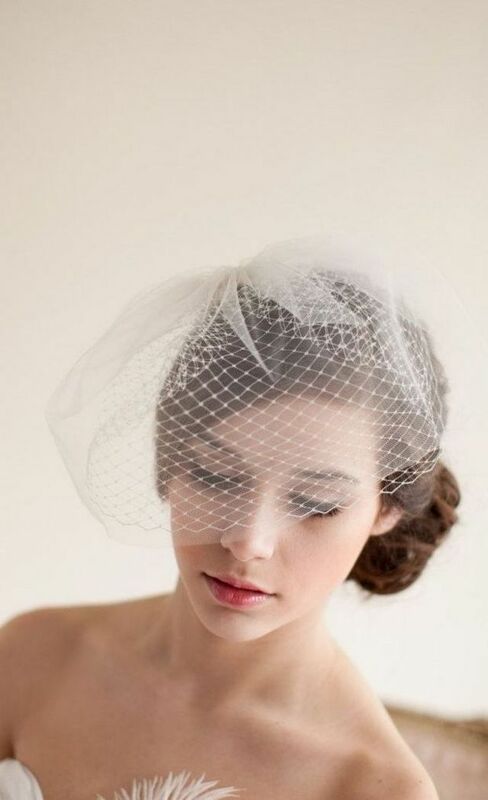 Mini veil is a universal thing, because it is perfect for girls of any height, age, and its a pleasure before the wedding, put on the bachelorette party. 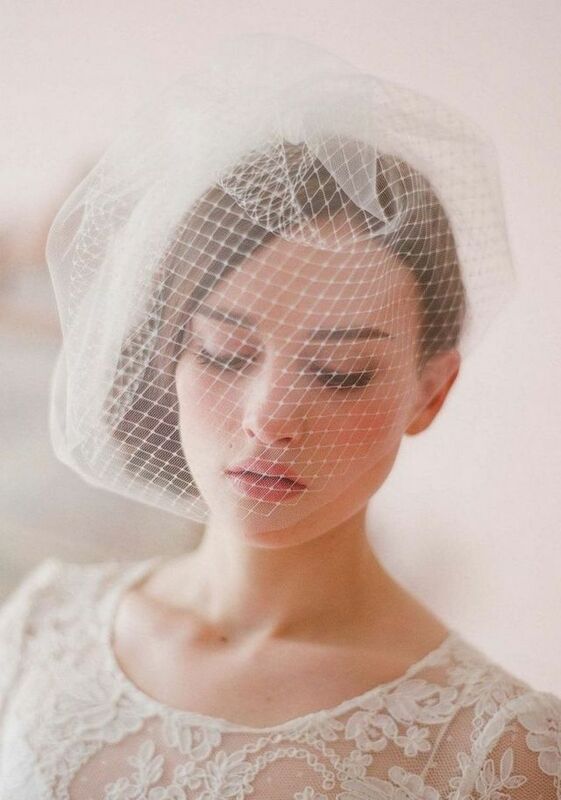 Single layer veil “Blush” closes the face of the bride during the wedding celebrations. The groom at the end of the ceremony shall unfold the accessory from the face of the bride for the first time to kiss her. Then the girl covers her face with transparent cloth, and wears her over the top hairstyles. 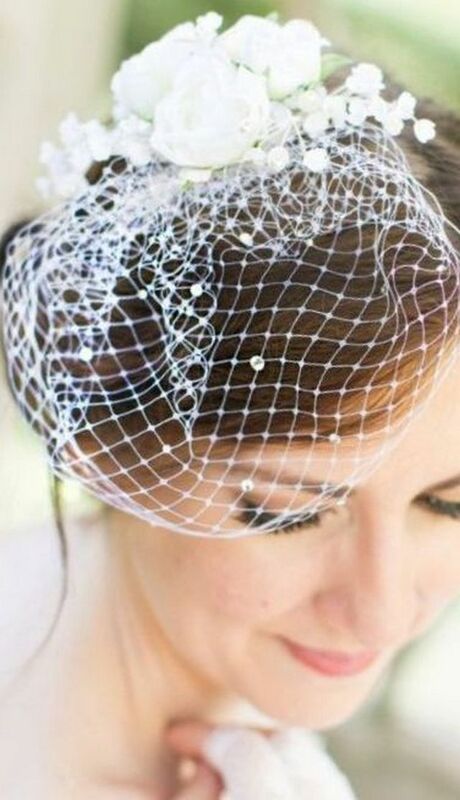 The main accessory of the bride called “Bird cage” is woven mesh: a veil attached to the head so that it effectively fell on the face of the bride. The length of “Bird cage” comes up to the chin or to the nose, being located asymmetrically. Double layer veils are popular among the brides, because it is suitable for dresses with lots of decoration on the waist, back or chest. She smoothly falls on the shoulders without distracting attention from a luxurious decoration, perfectly complementing any wedding outfit. Option two-layer veil is perfect for bachelorette parties when you need to focus attention on a beautiful evening dress. 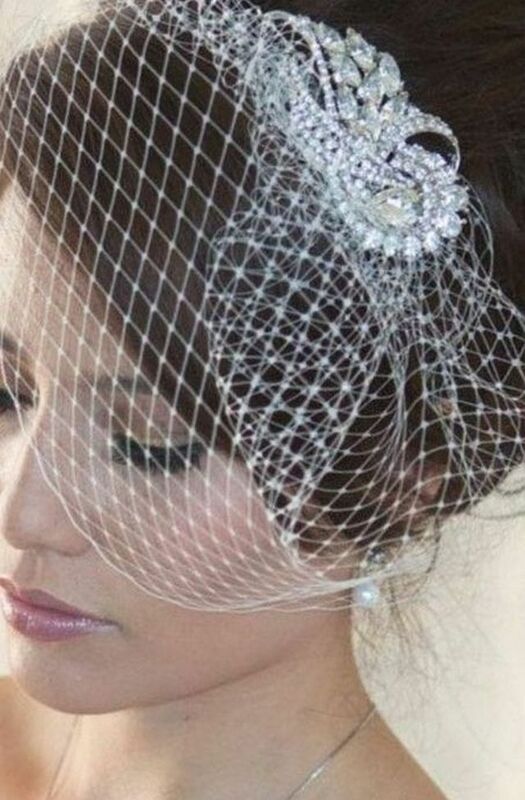 Mini veils in multiple layers looks great, and its layers can be the same length or different. It is an informal option, so this accessory is perfect for and bachelorette party, and wedding. 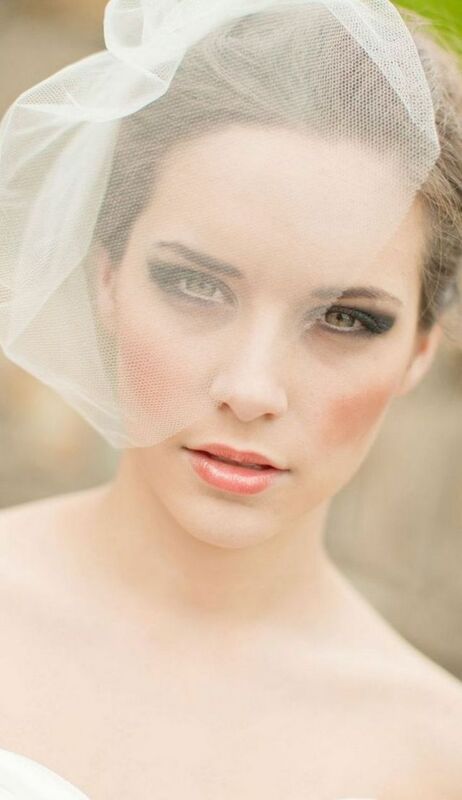 Lush veil will be in harmony with the dress A-line, dress fish or wedding dress with fluffy skirt. 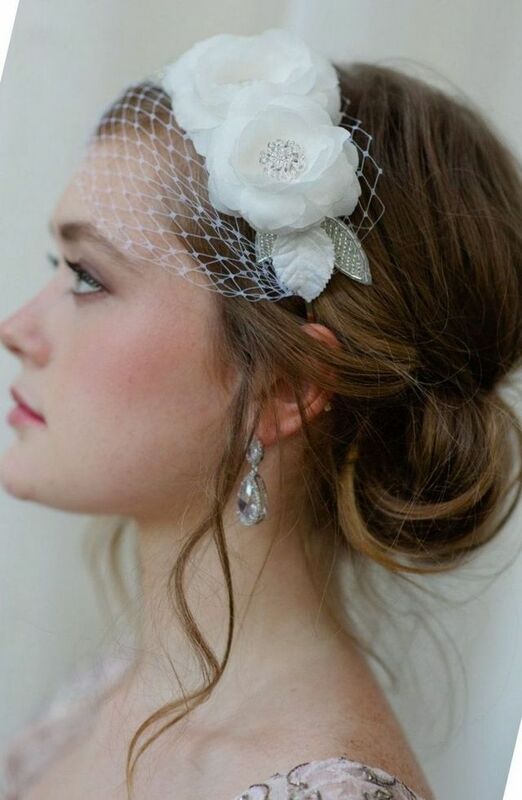 Under such a versatile wedding accessory is any hairstyle and hair length is not critical. 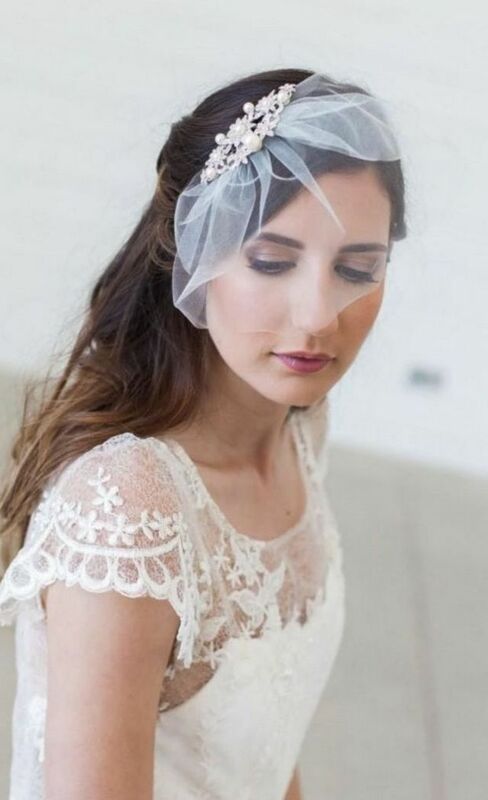 Why wear a mini Bridal veil for a bachelorette party? Traditionally, Bridal shower is a fun celebration, which is attended by bridesmaids and herself. Common is considered a dress code when all the girls dressed in the same style or color scheme. Use a small veil will let you identify a reason to party, besides, she can wear everything and not just the birthday girl. 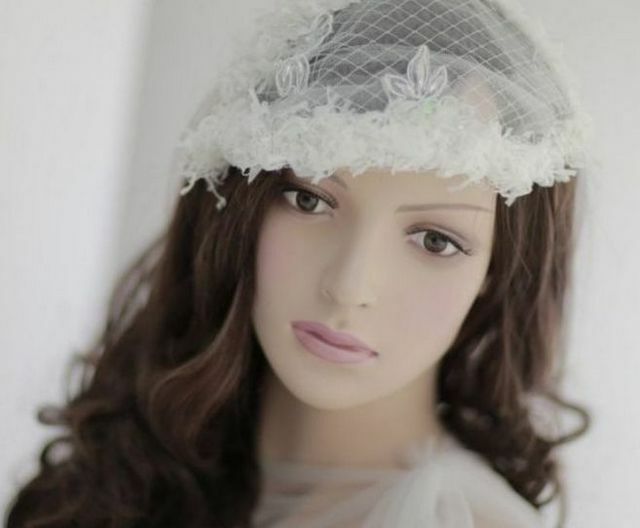 Often for such purposes girlfriend get a colored Bridal veil, and the bride – white. Some of this accessory is decorated with artificial flowers, buttons, ribbons or beads, and the bravest friend wears the top “devil horns”. The veil is not more than 50 cm, since the long product to party and dance will be uncomfortable. 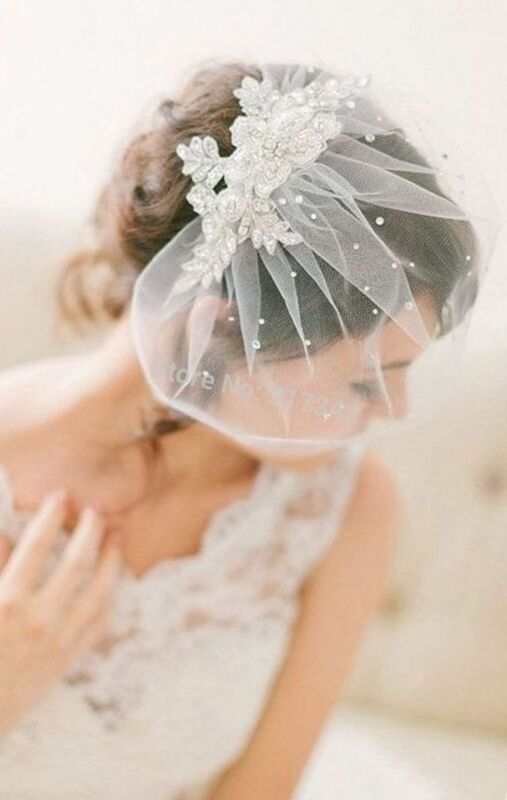 Can I wear a mini Bridal veil ? 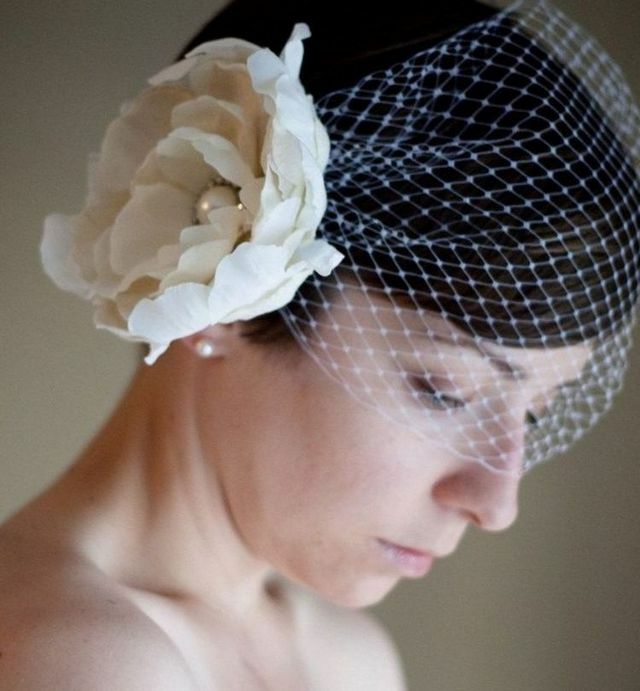 A veil can create a refined and sophisticated image of bride, therefore she prefer the bride. The advantages of a short transparent veil lot: she looks great, modern, but in addition perfect for any style of wedding dress. 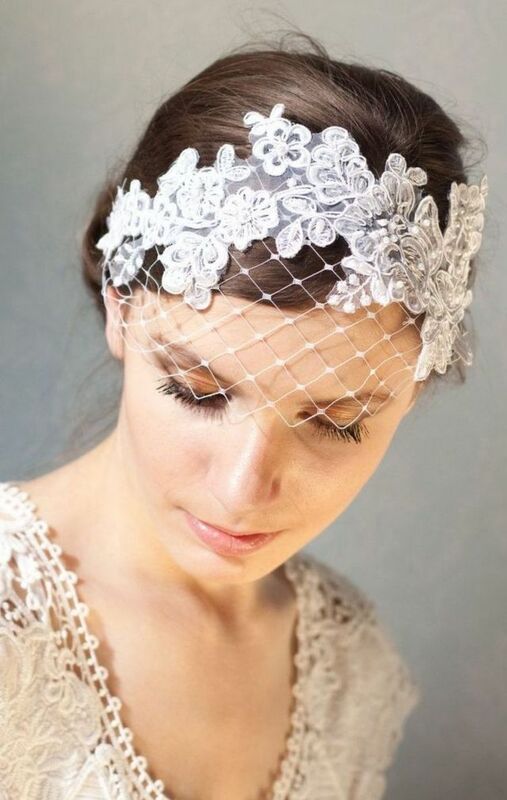 This important accessory of the bride is allowed to carry in monovariate and a hat, decorating the headdress of artificial flowers and pearls, as well as to wear for a bachelorette party or any other theme party.